Julz is the rock of the engine room. She is the one that keeps the business running, making sure the bills are paid and our accounts are in order. She keeps the rest of the team in line and is constantly looking for opportunities to put some fun in the workplace. 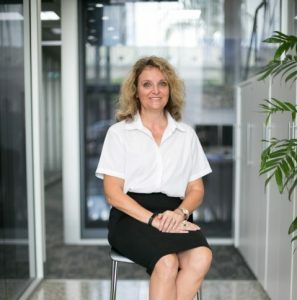 Julz has had a wealth of administration experience across several industries and has spent time at Conrad Jupiters. She also keeps the books for her husband’s business. Julz is an AFL tragic and is a member of the Richmond football Club. She is a music trivia wizz, likes movies and collects coins and foreign currencies. While at Jupiters Julz appeared in a commercial for the Casino.